To translate “to know” in French, the choice between Savoir and Connaître depends on what follows the verb. It is pretty easy most of the time. 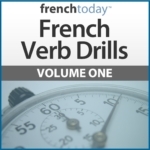 In this lesson, I am not going to go over the French irregular verb conjugations, but will explain which one to use, and also how to avoid a big misunderstanding between French and English speakers. Many English speakers might not really understand when a French person asks them “Connaissez-vous Paris ?”: In French, it means “Have you been there yourself?”, not just “have you heard of it”. Most method will tell you that “savoir” is to know with a sense of having acquired knowledge, and “connaître” is to know as in to be familiar with… pretty vague if you ask me. In fact, it’s much easier than that. What matters is what follows. Tu sais où il habite ? Do you know where he lives? Savez-vous à quelle heure ils arrivent ? Do you know what time they’re coming? Sais-tu pourquoi il a dit ça ? Do you know why he said that? Je sais danser. I know how to dance. And “savoir” can also be used alone. Tu sais qu’il arrive à 3 heures? Oui, je sais. “Connaître” means “to know” with the idea to be personally familiar with, to have experienced it yourself. It is always followed by a NOUN – it cannot be followed by anything else. In most cases, “connaître” is followed by nouns of people and places. Tu connais Sylvie ? Do you know Sylvie ? Vous connaissez Paris ? Do you know Paris? This is where the English speaker has to be careful. When a French person says “Est-ce que vous connaissez Paris ?”, in most cases he/she doesn’t mean “Do you know (of) Paris”, but rather “Have you personally been there?”. Same with people; if you said “Je connais Brad Pitt”, French speakers may think you have met him. I have a funny story an American student told me. He was in Paris and met a lovely French woman in a bar, and started to speak with her. She didn’t speak any English, so he was speaking in French. Puzzled, he thought to himself: “Cute, but not so smart…”. So, in my opinion, what is important in that lesson is not the basic rule to translate to know in French – it’s rather easy… Connaître + people / place… Savoir with all the rest! But the trick is to understand and know what to answer when someone asks: “vous connaissez ….”. So now, let’s see how you can answer questions like: “Est-ce que vous connaissez Paris / Gérard Depardieu” ? The trick here is to understand the question: and this depends a bit on the context, the tone of the question. “Est-ce que vous connaissez Paris” almost always means “have you been there yourself”. “Est-ce que vous connaissez Gérard Depardieu”… well, are you in the movie industry? In this case, it probably means “have you met him personally”. On the other hand, if you are just discussing movies, it’s more likely to mean “do you know who he is?” – unless you said something before that could make believe that you actually knew him personally. So, with people the context is very important. Est-ce que vous connaissez Paris ? Non, je n’y suis jamais allé(e) – I’ve never been there. Oui, je le/la connais bien – Yes, I know him/her well. Oui, je l’ai déjà rencontré(e) – Yes I’ve already met him/her. Je n’en ai jamais entendu parler – I’ve never heard of it. Est-ce que tu sais qui c’est – Do you know who it is? Je sais qui c’est, mais je ne le/la connais pas personnellement – I know who it is, but I don’t know him/her personally. Est-ce que vous savez où c’est – Do you know where it is? Je sais où c’est, mais je n’y suis jamais allé(e) – I know where it is, but I’ve never been there myself. Non, pas du tout – no not at all. Now, all this being said, I have to admit that “savoir” can also be used with a noun. Never a person though. Tu sais ta leçon ? = tu connais ta leçon ? = You know (you’ve studied) your leçon. To say “to know by heart”, we say “connaître par coeur”. “Savoir par coeur” is also possible but for the reason mentioned above, I suggest you stick with “connaître par coeur”. Tu connais ta leçon ? Do you know your leçon. Oui, je la connais par coeur. Yes, I know it by heart. Je savais très bien que tu allais venir quand même… Je te connais par coeur ! I knew very well you were still going to come… I know you by heart! In the Bible or older French text, you may find something like “Marie n’avait pas connu d’homme” (Mary didn’t know any man) – this meaning is sexual, it means she had not been with a man. We would not use that in modern French. Since you have two verbs, you’re going to have two nouns: honestly, to explain the difference is going to be very hard… Most of the time they are interchangeable, but I’ll try. le savoir – is the knowledge you have acquired from learning something. We talk a lot about “le savoir-faire” for artisans for example. la connaissance – is inside you. It’s your own interpretation of a general knowledge. It’s the word commonly used for “knowledge”. Voilà, I hope you won’t hesitate to translate to know in French from now on.